Cancer Commons is a patient-centric not-for-profit network of patients, physicians, and scientists that help identify the best options for treating an individual’s cancer. Members contribute to and benefit from a uniquely dynamic knowledge base of case histories, treatment insights and rationales, clinical trials, and patient outcomes & experiences. An internationally recognised team of specialists that come from across medical specialities including: cardiology; respiratory; weight management and metabolism (including diabetes); oncology; orthopaedics; and clinical & performance nutrition. Mindshare Medical has developed a revolutionary, evidence-based clinical decision support technology. Providing personalised diagnostics and guidance on the effectiveness of follow-up procedures and treatments. This approach is intended to dramatically improve quality of patient care and reduce financial liability for healthcare organisations. The world leader in young adult cancer advocacy, research, support, and education. 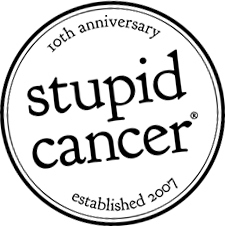 Founded in 2007 by Matthew Zachary, Stupid Cancer has spent more than a decade ending isolation, building a community, providing education, redefining quality-of-life, and improving health outcomes for this community.